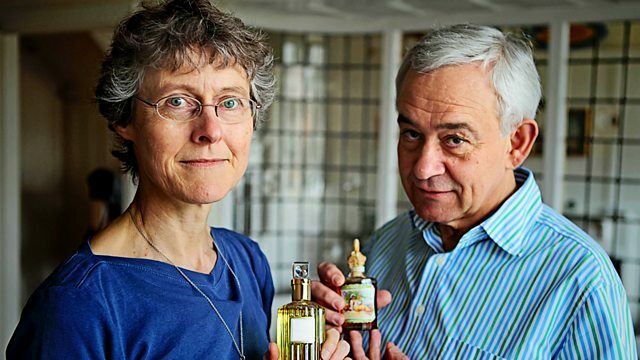 Can the old perfume houses of London, Paris and New York create scents which will appeal to the very different noses in the new world economies? The fastest-growing market of all is Brazil, where citizens are obsessed with everything fragranced. We're with perfumers as they peer into bathroom cabinets to monitor minute shifts in taste, and with an American scent guru who has to get up the noses of Latin adolescents in order to define the smell of the next version of a bodyspray. An ancient English perfume house remakes Oriental fragrances that amused Queen Victoria. The tastes of modern Britain have moved on, but in the Gulf States they like these hot and heavy scents and we follow them as they as they try to make it big in Bahrain.